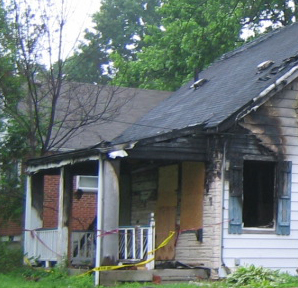 This is a follow up on my blog on how to deal with your Insurance Company on a fire loss. (See May 25th 2011 Stan Better’s Blog). This issue is becoming increasingly important and one that the Insurance Companies have tried to back away from. Let’s assume from your fire, or your flood that you have lots of water inside your house. The emergency people are now gone and your home is soaked. The initial amount of money the Insurance Company will pay for on your behalf is what is referred to as “emergency services”. This means that a 24 hour contractor service can be secured immediately to not only protect the home from vandalism, but also from water being allowed to sit and cause even more damage. Virtually all insurance companies have this in their policies because they want to protect the home from further damage while the process of figuring out how to restore the home can be negotiated. This is a necessary and proper part that the Insurance Company performs. Unfortunately once the emergency services are accomplished and the water, to a certain degree is removed, the process stops. The next step is to actually determine the loss, agree to the scope of damage and price, and then start rebuilding. The problem here is that the time between the emergency services work and the actual start of rebuilding can be significant. It can be weeks, months, or in some extreme cases years. To compound this problem the main amount of water is gone, but the residual water that has soaked into everything has remained. If we are talking warm weather, the potential promotion of mold growth can be very quick, especially in a house that is boarded up with no air ventilation. We recently had a case where the homeowner had a fire and the fire department did their job in dousing the fire. The Insurance Company came in and secured emergency services. When we were asked by the homeowner, who by the way read my blog on “How to deal with your Insurance Company on a fire loss”, to get involved we noticed that there was a significant amount of potential mold growing on unaffected areas of the house that were not touched by the fire. This led to a discussion between us and the Insurance Company regarding the air quality of the home. The dilemma was that even though the Insurance Company had agreed to repair or replace affected areas of the home due to the fire, it was not willing to address or pay for the necessary equipment and procedures to return the air quality of the home back to what it was prior to the fire. If the homeowner had chosen Insurance Company’s “preferred contractor” to do the work, then this issue would never have been raised and the potential mold and mold smell would have remained even after finishing the work. In the end we successfully got the Insurance Company to pay for the proper equipment and procedures to “scrub” the air to get it back to an acceptable level. You may not be aware of this, but since 2009 the EPA has mandated that any home that has remodeling done where more than 6 square feet of area is affected and was built prior to 1978, must be tested for lead based paint. If lead exists then an EPA certified firm trained to use lead-safe work practices must be employed and those lead safe construction practices must be employed. It is called the EPA-RRP Rule (Renovation, Repair and Painting). I and my firm are certified by the EPA in this field. Most Insurance Companies are well aware of the relatively new rule and have made provisions in their policies to cover homes that fall under this requirement. Make sure to ask your Insurance Company if you will be required to comply with this rule in the event of a loss, and make sure that you are covered in your policy for this additional cost. Another item to consider is if your policy has code upgrade coverage. Your home was built at a time when certain building codes were in place. The house was built to that standard of the day. Let’s say your house was built in 1940. The new building codes today will not allow that same house today because the codes have been upgraded since the house was built. So what do you do when your house has a fire and the contractor needs to apply for a building permit? The building department will demand that the newly remodeled construction comply with today’s standards and not the standards of 1940. The requirements will vary from state to state but let me give you some examples here in Ohio. 1. You will be required to upgrade the entire house (affected by fire or not) to a new interconnected smoke alarm system including a smoke alarm in every bedroom, adjacent to every bedroom, and on each floor. 2. Some municipalities now require carbon monoxide detectors be installed. 3. Electrical wiring has to be upgraded and ground fault interrupters (GFI) plugs installed in all wet areas (mainly bathrooms). 4. Stair handrails and guard rail design and construction have become more restrictive. 5. Insulation requirements have increased significantly. Floors, walls, and ceilings now have to have insulation far exceeding what was placed in most homes when they were constructed. 6. Lights are required outside each exit door to the house. 7. Fire blocking between the walls and draft stopping are now required. In older homes sometimes this is very difficult to achieve if the initial framing was a balloon type. 8. GFI arc fault breakers and tamper resistant electric devices are now required. 9. Old two pronged outlets need to be changed to three pronged grounded outlets. 10. Windows and exterior doors have to comply with stricter insulating standards. This is just a sampling of the kinds of items that the building department will require on your restoration project. Unless you have code upgrade coverage, you will have to pay for these items. Remember that even though these items may not have been affected by the disaster, or were never there in the first place, you still will be required to bring your home up to today’s building code standards. I hope this blog adds more insight for the homeowner when they have a disaster to their home that requires their Insurance Company to get involved. If you have any questions or if you need our help, please feel free to contact me Stan Better AIA thru my website www.stanbetter.com.